CSBC declared result of Bihar Police constable, check it at official website. 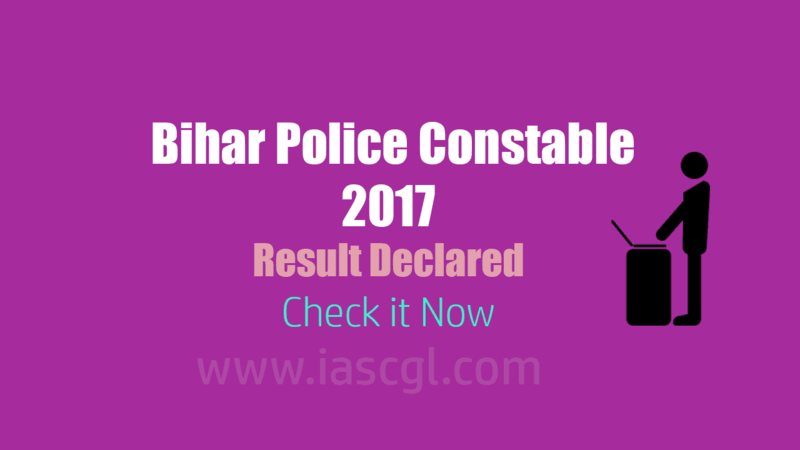 CSBC has declared result of Bihar Police Constable Exam 2017. Candidate who appeared in the examination can check their result at the official website of CSBC at csbc.bih.nic.in. or a direct link given in this article. The exam was of total 100 marks, and candidate who score less than 30 marks, disqualified.